Hey lovelies! Who has all their Christmas shopping done? I haven't, but whatev's it'll happen haha. As I'm sure all of you know a money saving way of giving gifts is baking something cute. 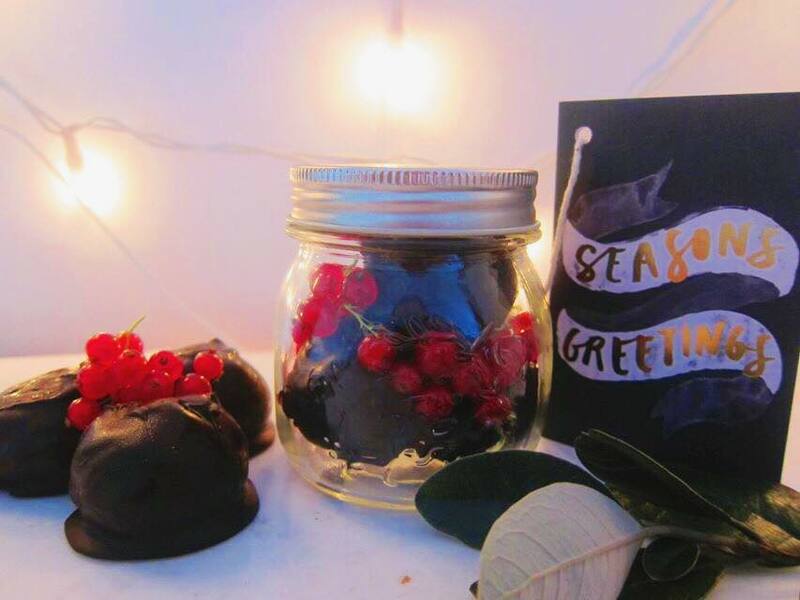 The other week I showed you how to make cute christmas hearts, well this week I thought I'd show you how to style a truffles in a festive way. So the truffles I made are from Butterscotch Truffles and the recipe is from the 2015 christmas edition of Donna Hay's magazine. Mine may not look quite as perfect as hers but they still taste pretty damn good. Like ridiculously good. Okay so when giving little treats like these jars are ideal so you can see what's inside. I chose a rounded jam jar. It's not too big, but big enough to fit 4-5 balls. 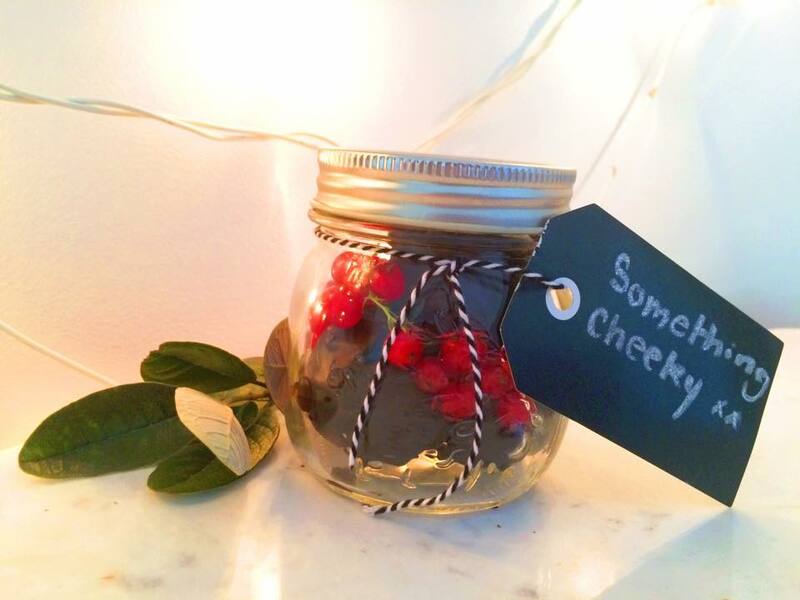 I also filled the jar with some red currents to add a pop of colour and give it a christmassy feel. It looks super cute with a label tied around the lid. I chose black chalkboard labels which I picked up from shiploads for like a dollar. If you want to bring the truffles to a party they look amazing in a triangular shape with red currents and leaves placed around and on the truffles.